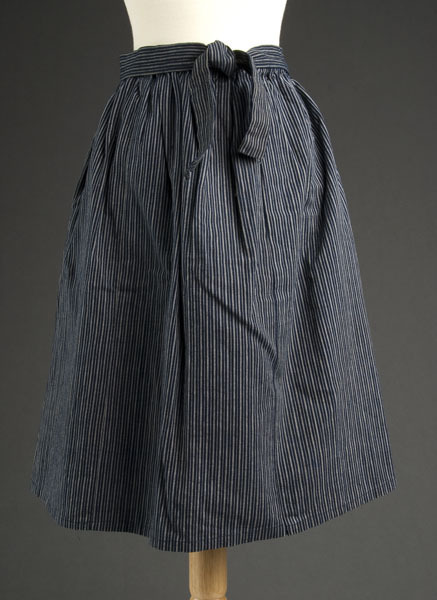 1 skirt : cotton ; 23.5 x 54.5 in. 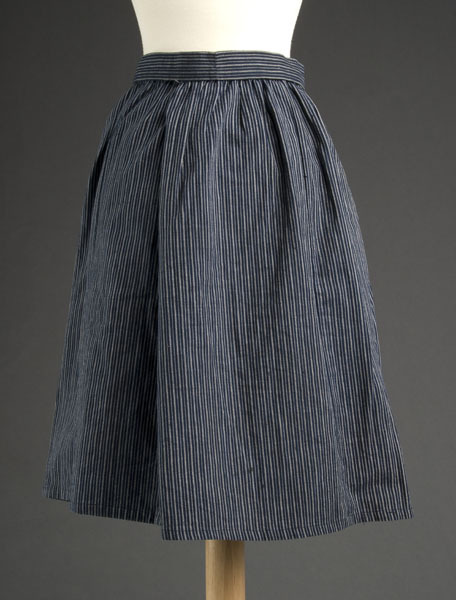 Indigo blue and gray striped dirndl skirt composed of 5 panels of varied widths (7-12 in. ), elastic waistband (0.75 in.) 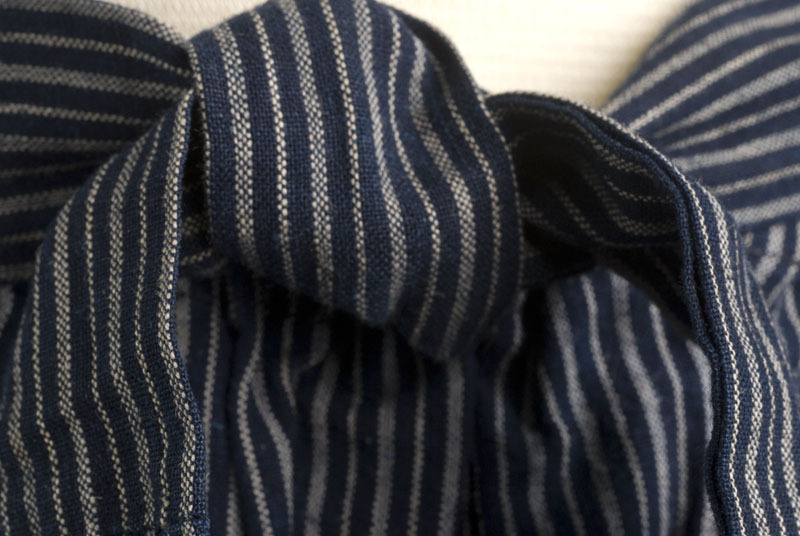 and matching tie belt (1.25 x 47 in.). Pink baby diaper pin attached at waist. Written on label sewn to inside seam: Barbara Kawakami. 100% cotton fabric from mother-in-law. Worn with jacket (2004.1.33) and a cummerbund when working at Puhi Plantation in Kauai in the 1930's. 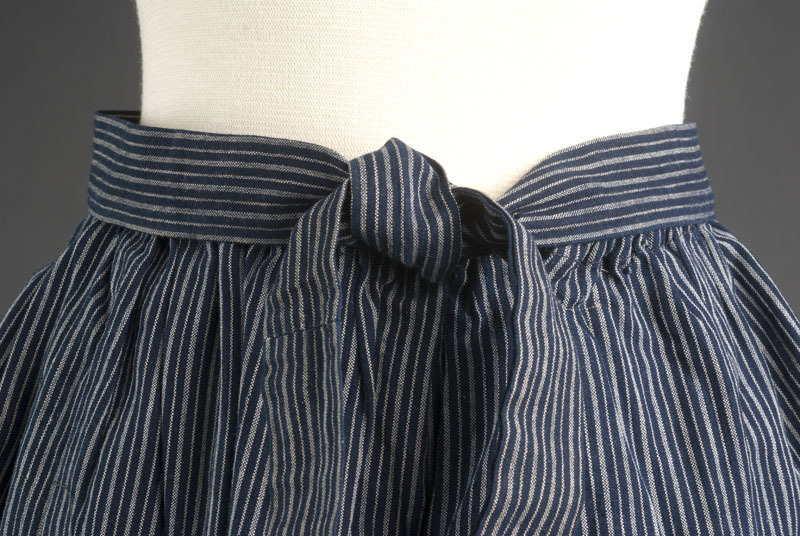 In later years,used elastic to gather skirt.